Be the ‘bale of the ball’ in one of our organic cotton T shirts. Do you want Love-a-bale or SNaB? More thrilling than Agatha Christie: Barbara’s latest best-seller. Be inspired all the way through 2018 with our unique Calendar for just £5.00 inc postage. Or if you can’t decide, why not buy a Voucher for one of our courses or a bit of merch. 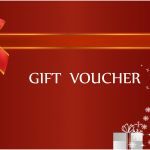 Email eileen@schoolofnaturalbuilding.co.uk to buy a voucher, which can be redeemed at any time until the end of 2018.